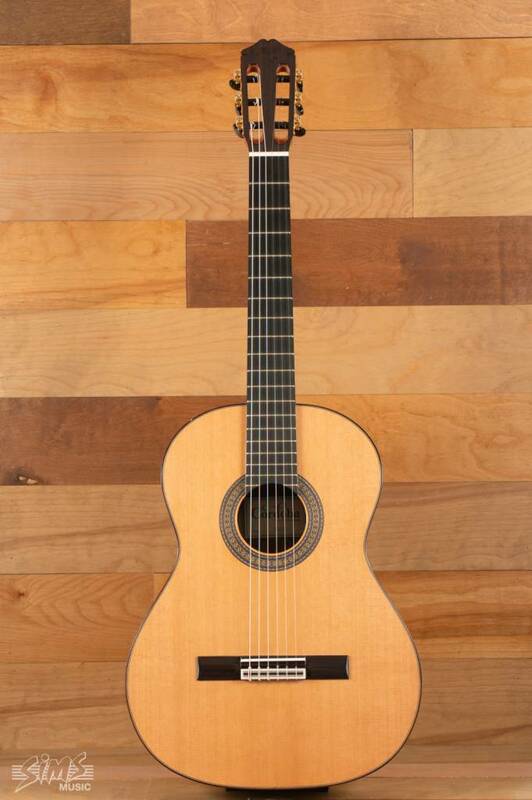 The 45CO combines authentic Spanish craftsmanship with the world's finest exotic tonewoods. 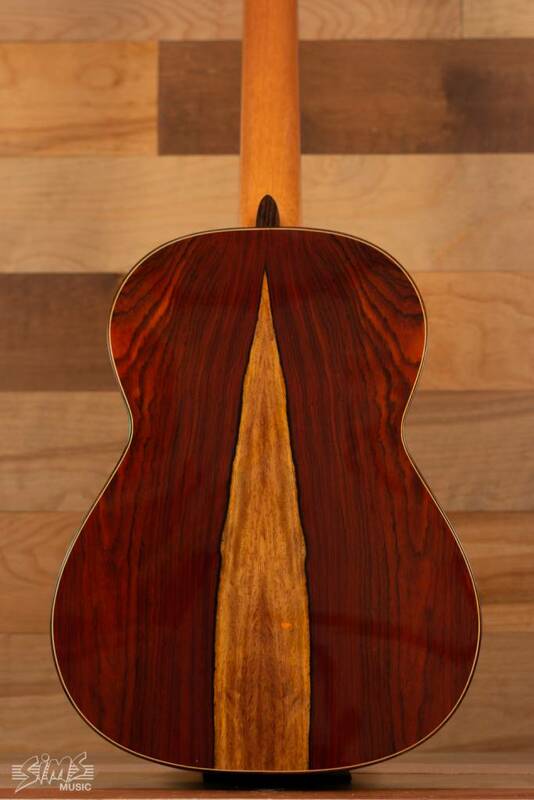 The 45CO’s Spanish cedar neck is joined to the body using Spanish heel construction for optimal resonance and stability, and is topped with an African ebony fingerboard. Traditionally appointed and tastefully adorned, the 45CO features an Indian rosewood bridge, body binding, and headplate, and a Spanish-style hand-inlaid mosaic rosette. 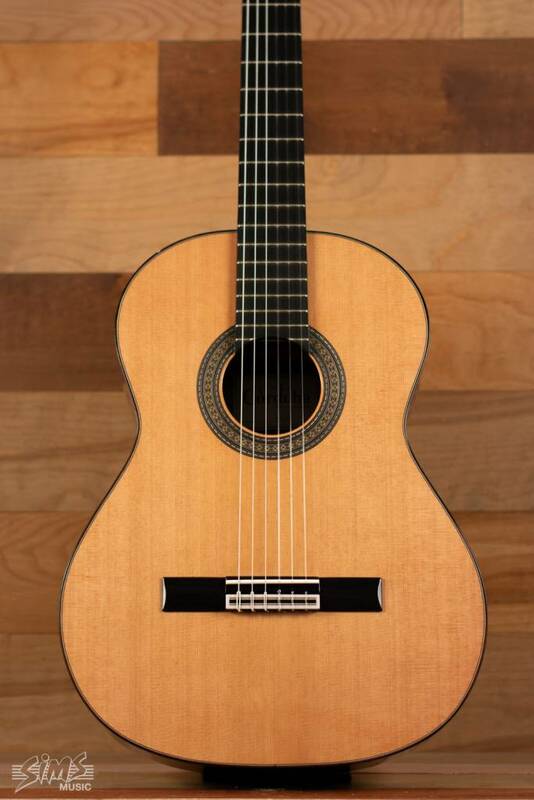 Premium features include a dual action truss rod, gold-plated tuning machines, bone nut and saddle, and premium Savarez strings. Comes in a humidified Humicase Protege case. Made in Spain. 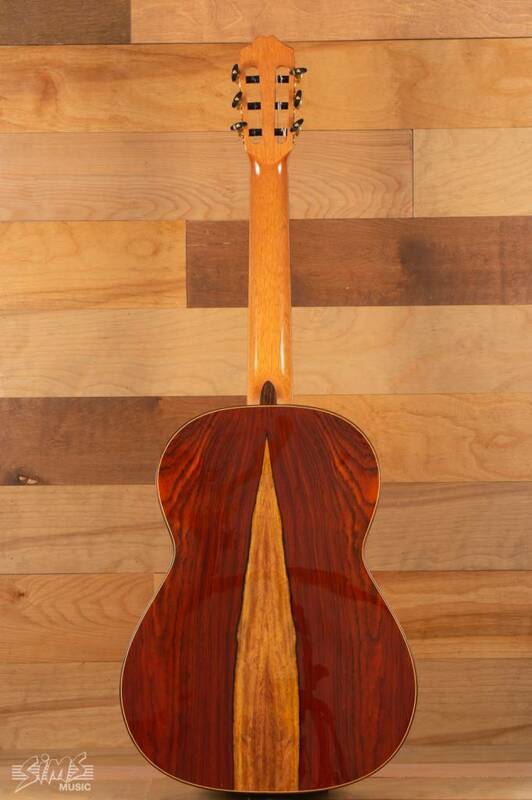 The 45CO features exotic cocobolo, which varies greatly in appearance and grain pattern.